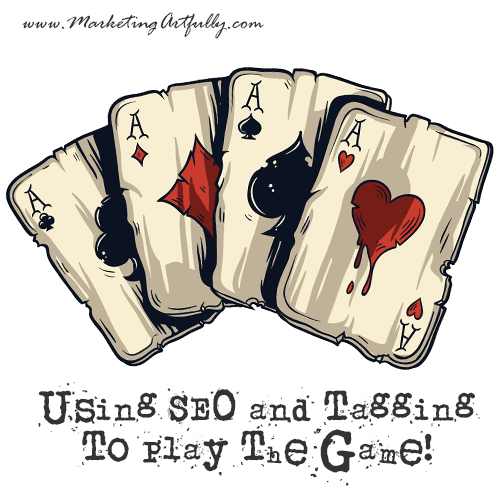 You are here: Home / Uncategorized / Using SEO and Tagging To Play The Game! Okay, today I am going to let you into the twisted world of “winning” at SEO and tagging on any website you are registered with. This is not for the purposes of ranking on search engines, but on specific websites that you are a part of (although it should work on YouTube and other sites that allow self tagging). The Media Monster and I signed up for SpeakerMatch.com so we could get more public speaking events next year. 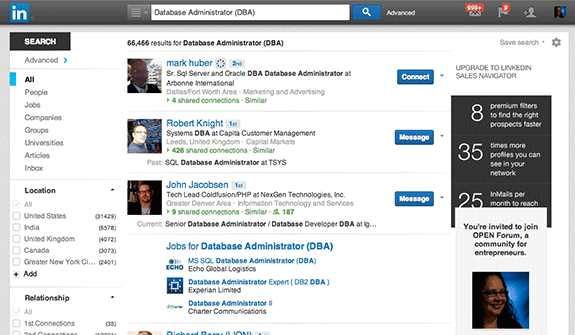 You may be signed up for an association website, LinkedIn or other similar site where there is heavy database, keyword or tagging searching (I did this for my husband on LinkedIn so he could rank for Database Administrator (DBA) a keyword that people look for when they are looking for people like him! As you can see he is ranked number three with very little LinkedIn use and very few connections. 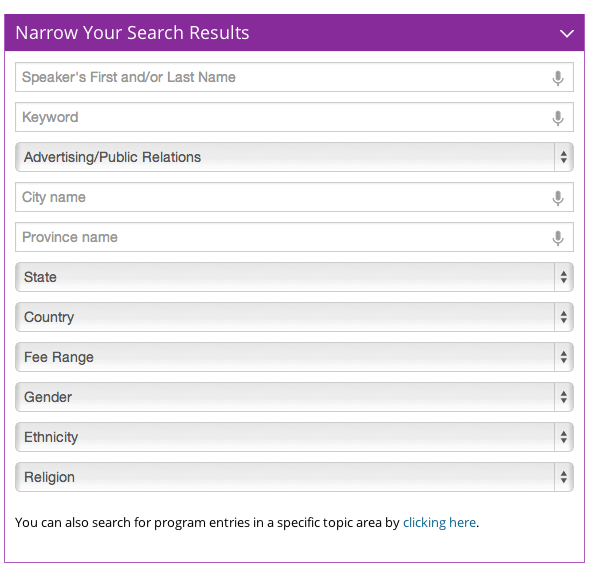 If you are in the job market (for say speaking gigs), you could max out your profile with keywords that people might use like public speaker, denver, etc. These will all effect the number of hits you get. Don’t try to be everything to everyone on each site, just try to be the best you on each one! please note that humans tend to start at the top and work their way down, keep that in mind! Keyword – This has to be a boolean search (a database term that means using keywords with the ability to use pluses, etc.) as the results that come up are not in the tags of the people who are returned. Note to self, make sure that I have LOTS of keywords in my description. Someone could search “marketing speaker” which returned 2 results OR “marketing speakers” which returned two also – could mean that it knows plurals but to be on the safe side I am going to use both. Topic category – Now this is where it gets interesting! Like I said before, people read from the top down so my potential categories are (A) Advertising and PR, (M) Marketing and (S) Social Media. Now there is not a place for me to choose this so I need to make sure that I have those keywords in my profile so I can get in the juicy first category! City – PLEASE use the biggest city in your area. I live in Westminster, CO but say that I am traveling from Denver as that is the closest large city to me! Gender, Ethnicity and Religion – Can feel like it is intrusive, but meeting planners and others sometimes have need of certain person to fill a spot. Your goal is to get on the list so fill these out! Now, I started filling bits out and thought I had it pretty well done except for tweeking. Then I dug a little deeper. You can have programs (your topics – many didn’t even have this basic information filled out), articles (why not write a couple of quick articles? ), audio (pull it off of your videos! ), blog (um add the link! ), pictures, documents, and testimonials. As with any website that makes their business selling information, rarely are the owners of the site (like SpeakerMatch) going to tell what to do to win. But dang, they sure give you come clues. If you are dedicated to succeeding at coming up in the most searches, add some articles (even though you wonder why in the heck you would…:) Upload your videos if that is what they like or share you YouTubes. Remember this is all a game and the player with the most cards WINS! If you have meandered down here, you probably have either a jones to make your LinkedIn or SpeakerMatch better BUT remember this works for ANY website that allows search term, SEO, tagging or opting in to things like “liking” certain pages (ie Facebook). If you start to think, “hey I want to be the one that comes up in searches” you can make a huge difference in your SEO marketing efforts! Previous Post: « Is Long Form Content Taking Over The Google?